It has been announce that top Johnny’s talent Tomohisa Yamashita will be starring in a brand new drama series. “In Hand” is a managa series that was created by Ao Akato. Akato originally launched In Hand only around three years ago in March 2016, originally as a mini-series. After proving to be a success, the it started to receive a regular serialization in October 2018. 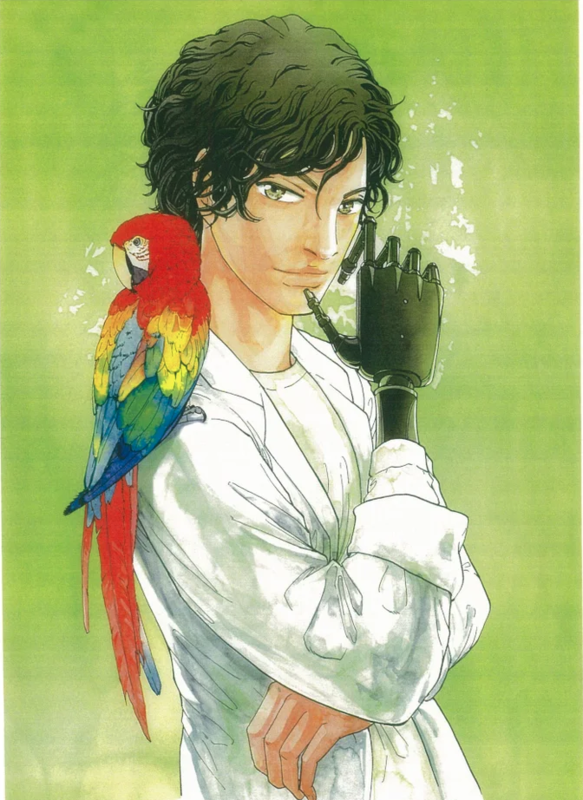 The story revolves around Dr. Himokura, a doctor who specializes in parasitic infections. Rich, powerful, and good looking, the one thing that really sets him apart is his mechanical right arm. A typical story line sees Dr. Himokura tackle various medical mysteries. 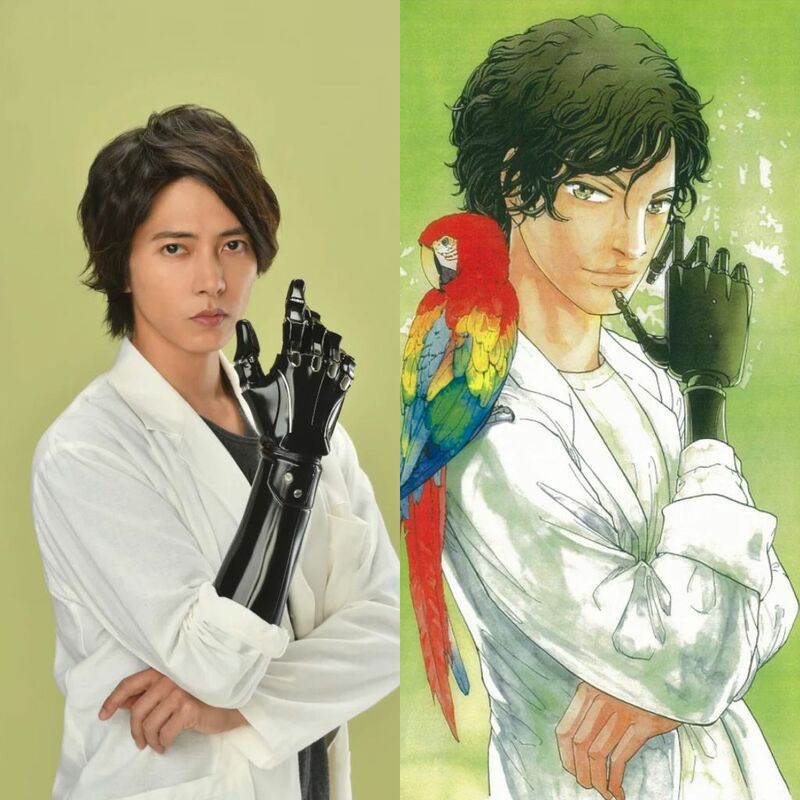 Naturally, Yamapi will be playing the role of Dr. Himokura. 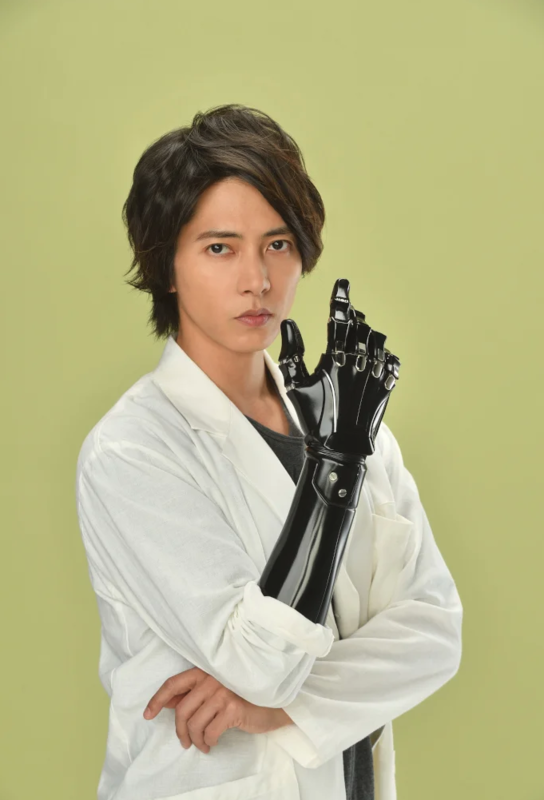 While filming the show Yamapi actually wore a real “robot hand”, described by him as “cool, VERY COOL!“. When asked about the original manga Yamapi said once he began reading he was hooked. It’s engaging while still being very educational, learning a lot about parasites and microorganisms in particular. The live-action In Hand will air on TBS during the spring drama season in April.